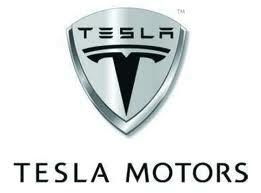 Bulls may have given up on Tesla Motors Inc (NASDAQ:TSLA) a little too soon. With the stock up nearly 6% today to hit a new all-time high of $49.88, there remains growing evidence that bullish options speculators have been heading for the exits. When I looked at Tesla Motors last Thursday, I noted the waning optimism in the name,as indicated by reduced demand for call options. At that point, Schaeffer’s put/call open interest ratio (SOIR) for TSLA stood at 1.16, higher than 88% of the past year’s worth of readings. In the ensuing days, this ratio has jumped to 1.30, which is just 1 percentage point shy of an annual peak. An early Tesla Motors Inc (NASDAQ:TSLA) employee this week won a wrongful termination lawsuit against the company, reportedly walking away with $207,000 in damages. David Vespremi worked as Tesla’s director of communications for less than a year. He and 25 other Tesla employees were fired in December 2007, a move that Tesla cofounder Martin Eberhard called at the time a “stealth bloodbath.” Tesla went on to disparage the group of fired employees in the media, calling them “bottom performers.” Vespremi claims he had a hard time getting hired in the automotive industry for some time following his firing, according to a report in Jalopnik. Morgan Stanley (NYSE:MS) reaffirmed their overweight rating on shares of Tesla Motors Inc (NASDAQ:TSLA) in a report issued on Tuesday, Stock Ratings Network.com reports. They currently have a $47.00 target price on the stock. “Following Tesla’s pre-announcement, we adopted the guidance for net profitability on a GAAP and non-GAAP basis at over 4,750 units of Model S. We raise our FY Model S delivery forecast to 18k from 16k previously, but remain below the company’s target as we expect a modestly slower pace of production in 2H as the company rolls out deliveries to international markets. We expect a 0.2% positive OP margin (including stock comp) is the year’s peak, falling to -2.4% in 2Q and further in 2H, for a -5% FY OP margin. We expect Tesla benefited from significant sales of ZEV credits in the quarter that we fade to zero by 4Q. For 2014, we expect 20k units delivered, up from our previous estimate of 20k.,” Morgan Stanley (NYSE:MS)’s analyst wrote. Tesla Motors Inc (NASDAQ:TSLA) is preparing a fleet of 80 Model S vehicles to offer to customers whose vehicles are being serviced. Many people would love to receive luxury sports courtesy cars like the Tesla Model S when their own cars are being repaired, and Tesla Motors is preparing to do that…for current Tesla owners. This is Tesla’s latest effort at expanding both its customer base and customer service. Tesla recently added a leasing offer to let you build equity in leased vehicles, though the numbers they used are a bit, shall we say, sketchy. Several thousand Tesla owners have now purchased their cars by ordering and paying for them online after visiting a Tesla Store showroom. No franchised dealers are involved. That’s a model that Tesla Motors Inc (NASDAQ:TSLA) feels is crucial to getting its electric cars into the mainstream. State and national auto-dealer groups strongly disagree. Very, very strongly. …Now Tesla’s ambitious CEO Elon Musk suggests that perhaps the company will attempt to ensure its legal right to sell cars directly at a Federal level. In an interview last week with trade journal Automotive News, he suggested that two routes might be Congressional legislation or a Federal lawsuit alleging restraint of interstate trade. FROM THE 1960s to the 1980s it was a General Motors Company (NYSE:GM) plant. From then until 2010 it was used by General Motors Company (NYSE:GM) and Toyota to make cars jointly. Now the giant carmaking factory at Fremont in Silicon Valley is in its third incarnation, as the manufacturing base of Tesla Motors Inc (NASDAQ:TSLA), a maker of electric cars set up by Elon Musk, a founder of PayPal and of SpaceX, a rocket-maker. Mr Musk is a man of big ideas. His long-term aim is to help colonise Mars and die peacefully there. His entry into carmaking, an industry that has been the graveyard of many ambitions, is almost as bold. Mr Musk set up Tesla to hasten what he sees as the motor industry’s inevitable switch to battery power. Having started with expensive sports cars, to be followed next year by an equally upmarket sport-utility vehicle, the plan is eventually to move to more mass-market models and become a sort of “General Electric Motors”. Eight years ago, Lenovo Group Ltd. 0992.HK +9.46% leapt onto the world stage with an ambitious plan to buy International Business Machines Corp. (NYSE:IBM) -8.15% vaunted personal-computer business. Now the Chinese company is turning to Big Blue again for the next step in its global push. People familiar with the matter said Lenovo is in advanced talks to buy a part of IBM’s server business in a potential deal that could be worth billions of dollars. Lenovo confirmed in a statement Friday it is in talks with a third party for a potential acquisition, without disclosing further details. A deal could turn Lenovo into a major competitor to Hewlett-Packard Co. HPQ -2.72% and Dell Inc. (NASDAQ:DELL) -3.80% in the server market, at a time when the Chinese company is already outpacing its U.S. rivals in the PC market. It would help Lenovo secure a new source of growth and profit at a time when world-wide PC sales are plummeting, and the company’s fledgling smartphone business hasn’t yet taken off outside China, analysts said. International Business Machines Corp. (NYSE:IBM) said it expects to ramp up job cuts this quarter after sales of some software and mainframe computer fell short of expectations. The Armonk, N.Y., company said it will reduce its work force in some areas more quickly this quarter to meet its per- share earnings target for this year of $16.70. Chief Financial Officer Mark Loughridge didn’t disclose the number of layoffs, saying management hadn’t yet approved final plans but expects to report close to $1 billion of accounting charges this year to trim its work force–more than last year–with heavier reductions planned for the coming months. The DividendRank formula at Dividend Channel ranks a coverage universe of thousands of dividend stocks, according to a proprietary formula designed to identify those stocks that combine two important characteristics — strong fundamentals and a valuation that looks inexpensive. International Business Machines Corp. (NYSE:IBM) presently has an above average rank, in the top 50% of the coverage universe, which suggests it is among the top most “interesting” ideas that merit further research by investors. But making International Business Machines Corp. an even more interesting and timely stock to look at, is the fact that in trading on Friday, shares of IBM IBM -8.13% entered into oversold territory, changing hands as low as $191.04 per share. We define oversold territory using the Relative Strength Index, or RSI, which is a technical analysis indicator used to measure momentum on a scale of zero to 100. A stock is considered to be oversold if the RSI reading falls below 30.
International Business Machines Corp. (NYSE:IBM) took a hard hit on Friday morning following a disappointing first-quarter report, but Wall Street remains cautiously optimistic that the stock will move back above the $200 level. Shares of IBM IBM -8.08% were down nearly 7% to about $193 by midday Friday. That’s more than 10% off the stock’s all-time closing high of $215.80 from mid-March, and pretty much gives up all of the gains Big Blue’s shares have made since the first of the year. Most stocks rose on Friday, bouncing back a day after the S&P 500 closed below its 50-day moving average for the first time this year, but IBM’s largest drop in eight years held back the Dow. Less than stellar earnings reports from McDonald’s Corporation (NYSE:MCD) and General Electric Company (NYSE:GE) also weighed on the blue chips. But some marquee tech names bolstered the broader market and drove the Nasdaq up more than 1 percent, a day after strong results from Google Inc (NASDAQ:GOOG) and Microsoft Corporation (NASDAQ:MSFT). … A more than 8 percent decline in International Business Machines Corp. (NYSE:IBM) led the Dow lower after the company’s quarterly results missed estimates. IBM was recently down 8.2 percent at $190.25, its largest daily percentage drop since April 15, 2005. General Electric Company (GE), Starbucks Corporation (SBUX), American Express... Comcast Corporation (CMCSA), Google Inc (GOOG): Will Twitter Become the Next... Advanced Micro Devices, Inc. (AMD): Can Game Consoles Save It? Housing News: PulteGroup Inc (PHM), D.R. Horton Inc (DHI), NVR Inc (NVR) Price-Gainers News: Theravance Inc (THRX), Travelzoo Inc (TZOO), Arch Coal... Is NVIDIA Corporation (NVDA) a Good Stock to Buy? Audley Capital Advisors LLP BMO Capital Markets Chipotle Mexican Grill Inc (CMG) Cinco De Mayo Congressional Legislation David Vespremi Dell Inc (DELL) Deutsche Bank Dividend Channel DividendRank Formula Elon Musk Federal Lawsuit GAAP General Electric Company (GE) General Electric Motors General Motors Company (GM) Google Inc (GOOG) Greg Poole International Business Machines Corp. (IBM) Lenovo Group Ltd. Mainframe Mark Crumpacker Mark Loughridge Martin Eberhard McDonald's Corporation (MCD) Microsoft Corporation (MSFT) Morgan Stanley (MS) NASDAQ:DELL NASDAQ:GOOG NASDAQ:MSFT NASDAQ:TSLA National Restaurant News NYSE:CMG NYSE:GE NYSE:GM NYSE:IBM NYSE:MCD NYSE:MS NYSE:WLT Patrón Silver PayPal RBC Capital Relative Strength Index Silicon Valley SpaceX Standard & Poor's 500 Index Stock Ratings Network.com Tesla Motors Inc (TSLA) Toyota Triple Sec Walter Energy Inc. (WLT) Western Coal Corp.